never too old to color: Ready for a sneak peak? Clear and Simple Stamps next release will happen on July 15th so how about a sneak peak of the MVP set that will be released next week as part of the Summertime Collection release. This is such a fun set to work with. 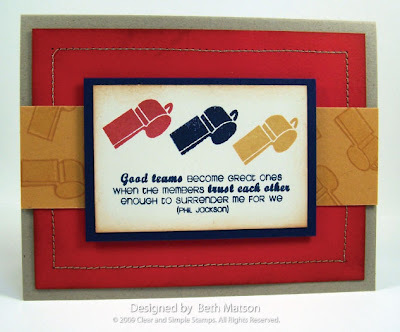 Great for creating cards and gifts for your MVP and the coaches. 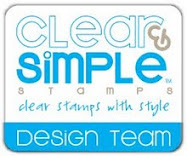 Be sure to check out the Clear and Simple Stamps blog along with the other design team members for more sneak peaks of the sets to be released on July 15th. Links to all of the design team members blogs are available on the right sidebar. I will be showing more sneak peaks on my blog also so please stop back. Thanks so much for stopping. I hope you're having a great day! Wow, these are all fantastic projects showcasing this set! 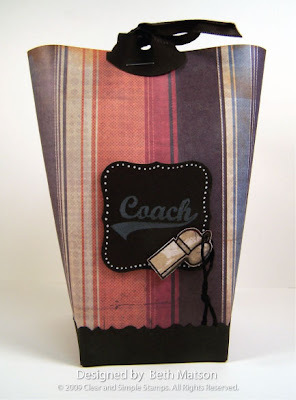 I love the little coaches bag! All your new cards are just wonderful! And I'm glad you got to get away for vacation - looks like a great place to spend time. Fantastic projects! 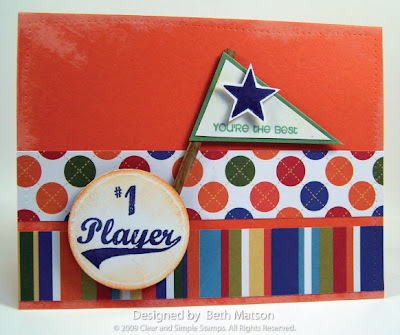 I love the combination of spots and stripes on the pennant card.